Across the nation, the attitude toward cannabis has changed. Survey after survey shows a majority of Americans want marijuana legalized. Voters in more than half the states have done just that, proving that the mainstreaming of marijuana is gaining momentum. When it comes to signs about how marijuana is going mainstream, recent news provided two great examples. One was NFL legend Joe Montana investing in a marijuana business. The other was Netflix throwing a party with a “pop up” dispensary that sold marijuana themed to some of Netflix’s original shows. Willie Nelson and Snoop Dogg getting involved with cannabis issues and businesses is one thing. This is something else. Montana is arguably the most celebrated quarterback in National Football League history. He won three Super Bowls with the San Francisco 49ers. He did it with a coolness and precision. The “arguably” is only in the preceding sentence because some people really don’t like the San Francisco 49ers. The Notre Dame graduate was also about as squeaky clean and straight-laced as an athlete can get. In another words, far from the image of a marijuana fan. But that image is dying fast. Now that marijuana use is reaching all levels of society, it seems fitting Montana has entered the game. Through his venture capital company Liquid 2 Ventures, Montana is one of a group of investors who put a total of $4.1 million into Herb. 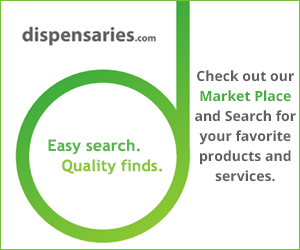 The tech company creates and distributes media content on marijuana, including news and entertainment. They produce both written articles and video. And then there’s Netflix, which is to television and online streaming what Montana is to football. The company has consistently led in providing at-home entertainment to viewers. It started with movies and now has moved into original content. In a recent promotion for the series “Disjointed,” Netflix worked with a medical marijuana dispensary in West Hollywood to create marijuana strains inspired by that show and others. They then had a pop-up dispensary at the party to celebrate release of the show. The strains included Banana Stand Kush for “Arrested Development” and Rutherford B. Haze for “Disjointed.” The show “Disjointed” stars Kathy Bates as the owner of a dispensary in Southern California. Just the fact that there are series set in a dispensary is not even news, anymore. That’s how far things have come. If you told someone in 1988 this would be happening, they wouldn’t believe it, even after you explained what Netflix is. The mainstreaming of marijuana continues. That’s a good thing for cannabis fans everywhere who are weary of the “stoner” label.